Just beyond village of Baghouz, Leonora and her two children are among the thousands to have scrambled out this week. Baghouz, Syria: Four years after leaving Germany to live under the ISIS group, 19-year-old Leonora has fled the terrorists' last bastion in eastern Syria and says it's time to go home. US-backed forces are fighting the last ISIS terrorists in a final shred of territory in eastern Syria near the Iraqi border, causing thousands of people to flee. Leonora says she became the third wife of German terrorist Martin Lemke, after he travelled to Syria with his first two wives. ISIS had the year before swept across large swathes of Syria and neighbouring Iraq, declaring a "caliphate" in areas it controlled. Leonora first lived in the terrorist group's de-facto Syrian capital of Raqa, but says she was just a housewife. "I was just at home, in (the) house cooking, cleaning -- stuff like this," says the pale faced German, clutching the youngest of her two children, an infant aged just two weeks. Syria's Kurdish authorities hold hundreds of foreign alleged ISIS fighters in detention, as well as thousands of their wives and children in camps for the displaced. At first life in Raqa was easy, Leonora says, but that changed when the SDF started advancing against the terrorists, with support from US-led coalition air strikes. The Kurdish-led SDF overran Raqa in 2017, after years of what residents described as ISIS's brutal rule, which included public beheading and crucifixions. "They left the women alone, no food, they don't care about you," she says. The enemy was advancing "and you were sitting alone in an empty city with your kids". The SDF have cornered ISIS into a patch of less than four square kilometres in recent days. Leonora claims Lemke worked mostly as a technician for ISIS. "He makes technical stuff, computer stuff, repairs computer, mobiles," she says. But investigations published in German newspapers portray Lemke, who is now believed to be 28, as an influential figure among foreign terrorists in Syria. Among them, 3,200 have been detained as alleged terrorists. Not far off, a group of women and their children -- most from neighbouring Iraq -- wait to be driven north to a Kurdish-held camp for the displaced. 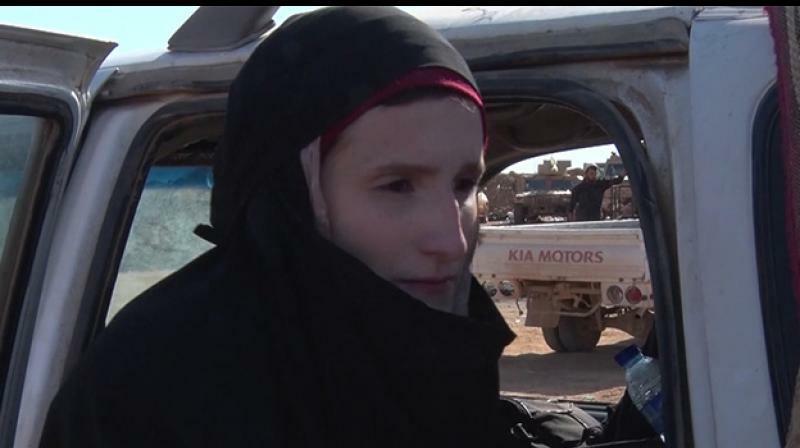 After four years under a now near-extinct ISIS caliphate, Leonora says she wants to go home. "I want to go back to Germany to my family, because I want my old life back," she says. "Now I know that it was a big, big mistake."